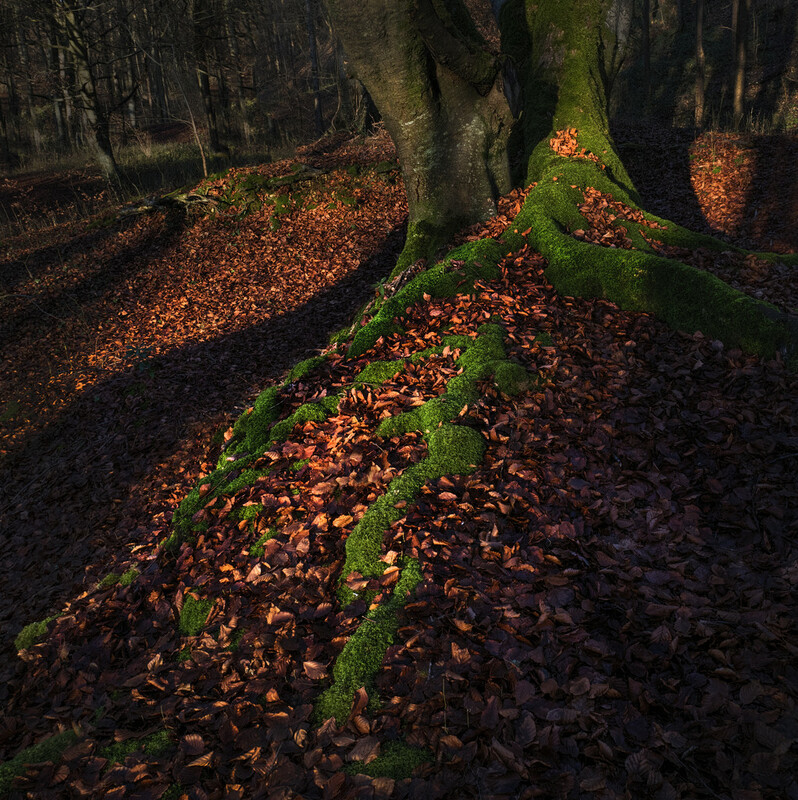 Tree roots covered in vibrant green moss make a striking contrast against the carpet of deep russet beech leaves. What a wonderful capture Love it. Very striking photo. They look like they could walk. Fav!